But thanks to the ingenuity of some cycling engineers, indoor bike training has advanced considerably in the last few years. It’s a faster, happier, indoor training world full of new acronymic descriptors: AR (augmented resistance), VR (virtual reality), and PM (performance metrics). We’ve built tools to immerse ourselves in virtual utopias (Zwift) and simulate the ascents and descents of downloaded routes. We’ve gotten better at tracking our training data by incorporating pinpoint accurate sensors in nearly every gear and chain. It’s the second coming of the indoor cyclist. How Do You Choose the Right Trainer? But with so many options, understanding what trainers do and which one is right for you can get overwhelming. In response, here’s our beginner’s guide to answer all of your indoor bike trainer questions when searching for your next indoor trainer. 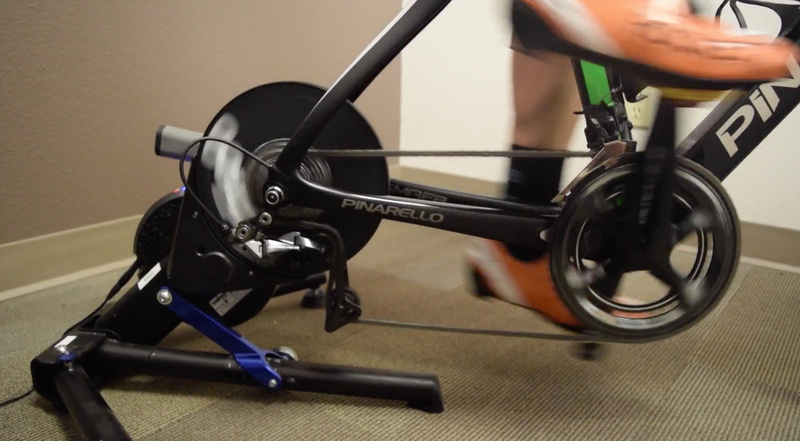 Indoor Bike Trainers are created with a few different types of resistance. Each type has it’s own particular benefits, and it depends on the needs of the rider. As the name describes, fluid trainers use a hydraulic substance to modulate resistance. Pedal faster, and the fluid and internal flat blades will increase the resistance. Something to Consider: While fluid-style trainers are some of the more realistic trainers, some riders have reported overheating or leaking if pushed too hard. Many newer models have gotten better about this issue, but consider this factor if you want a trainer to last you for a long time. In wind bike trainers, your resistance is determined by how hard you pedal the fan from your bike’s back wheel. Something to Consider: Wind-based trainers are generally a cheaper option, but there’s a lot of drawbacks. They’re noisy, have little resistance customization, and, if you pedal hard enough, you can quickly reach a “peak” resistance. These aren’t recommended for those looking for plenty of options and capabilities. These types of machines use opposing magnets to provide resistance. An internal ‘flywheel’ filled with magnets gets closer together, begins to attract, and – through the magic of science – causes greater resistance for the rider. Something to Consider: The price of magnetic-based machines is dependent on how your trainer adjusts resistance. Certain lower-cost models require the rider to manually change the resistance once you’re off the machine. The more expensive options have a lever that adjusts the resistance. These are the original indoor bike trainers. Many “OG” riders will remember these in their living rooms or garages as they were one of the first indoor trainers for riders. Bikes sit on three rollers which turn as you pedal and create resistance. Something to Consider: These rollers are good for building up your form, but the resistance range isn’t close to what you’ll find in other types of trainers. Also, it takes some practice to keep steady so you don’t fall or slide off. If you want a more stable option, consider the other types of trainers. Flywheel-based resistance trainers are indoor trainers that, unquestionably, provide the best training experience. They’re the most realistic and they offer almost unlimited resistance options. Something to Consider: Generally flywheel-type trainers aren’t as portable as other types of trainers, but the features they provide to riders tend to outweigh the cons. These can technically be any combination of aforementioned resistance types, but they have one important commonality: digital connectivity. “Smart” trainers are just that – intelligent machines that can connect and communicate with third party software to provide data feedback and management. This gives your trainer the ability to modulate resistance automatically – like when you go up virtual hills on Zwift, or when want to replicate a route downloaded to your bike computer. Wahoo’s KICKR and KICKR SNAP fit in this category. With both of our smart trainers, you’ll have total connectivity though new apps, software, and attachments. We’ve built our smart trainers to last and fit the specific needs of the rider. Everyone trains differently, so it’s important to have options. There are several important factors to consider when picking out a bike trainer. Do you like to feel like you’re traveling on a real road while you’re training indoors? More advanced bike trainers, like flywheel and fluid trainers, will definitely provide a smoother ride over others. We generally suggest riders choose bike trainers that simulate real conditions and elevations as they translate better when moving workouts from indoors to outdoors, or vice versa. Also, if you plan to output some serious work on your trainer, be prepared to spend a little more on a rig that feels capable of taking hours of abuse. The last thing you want is to end up on the floor with a broken trainer (or tailbone) because you had a sudden second wind. Maybe you just want to cruise on your bike trainer and don’t foresee lots of resistance changes during your workouts. Maybe you love working hills and need quick resistance adjustments. Whatever your angle, it’s important to consider that adjusting resistance on certain types of trainers can take up lots of your time during workout sessions. Choose the trainer that best fits how you train. Wind trainers are noisy. If you’re living in an apartment, or in close quarters with a roommate, new baby, or sound-sensitive individual, these may not be for you. Noise can also be annoying to you; indoor workouts can potentially last a while, so be certain you’re okay with some noise before buying your new trainer. Nowadays, we connect our smartphones to everything – our cars, our bank accounts, even our coffee baristas. It’s also where we keep our workout plans. Pairing your smartphone to your indoor bike trainer is a feature only available to smart trainers like the KICKR. It’s an important consideration into choosing the right indoor trainer. 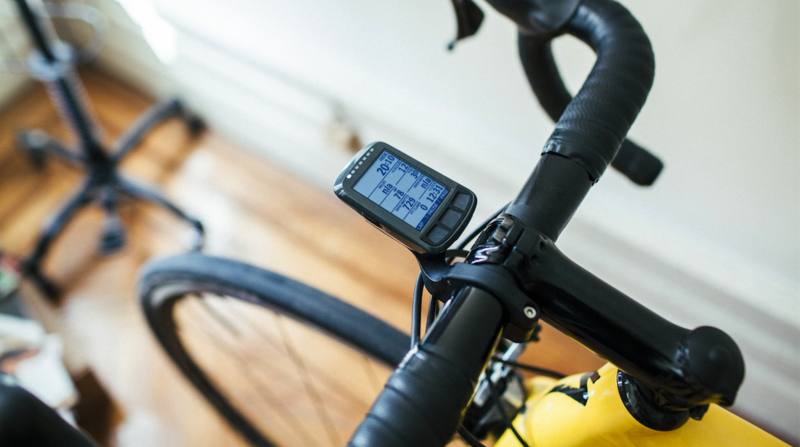 For those using TrainerRoad or Planned Workouts, the KICKR pairs directly with your ELEMNT. Your KICKR’s resistance will adjust according to your downloaded route in real-time. TrainerRoad and Planned Workouts are ideal for training and following a workout plan. This kind of integration is seamless and provides tons of value. You may also want to pair your sensors up to your bike trainer. As you know, tracking and recording performance metrics is important to the long-term success of any athlete. Whether it’s your speed, cadence, or both, you’ll want to have plenty of ways to track your progress as you train. As we painfully admit, riding indoors for long periods of time can get monotonous. That’s why many riders have turned to smart trainers like the KICKR for the ability to incorporate the excitement of Zwift and other apps into their training. It’s not always easy (or possible) to connect and ride with friends in the real world, so having an online social community to ride alongside is a welcome option. And, for many, the social capabilities of the smart trainer is their sole motivation to continue to train indoors. Make sure that your trainer is fun to use as you’ll probably be on it a lot! The all-important factor: money. While it’s easy to let this single factor drive your entire decision-making process, remember that you’re making an investment in a piece of important tech that you want to last. It’ll add up considerably if you’re going through trainers every couple of months or years. Also, cheaper options are sometimes only compatible with a select type of bikes; If you’re planning on upgrading soon, make sure that the trainer can fit your new ride. At Wahoo, we offer a few versions of our smart trainer the KICKR. If you’re not ready for the newest KICKR, the KICKR SNAP is a welcome and no-less-capable smart trainer. Like all Wahoo products, it has effortless integration into your training ecosystem. In the end, the choice is yours. So many factors play into choosing a bike trainer, and it’s your decision to decide what works best for you and your training style. We take the aforementioned questions into careful consideration when designing our trainers. Our goals are to make a product that fits all the needs of the modern cyclist. The KICKR, for example, is what we believe to be the most advanced, flexible, and complete bike trainer on the market. And with the innovative modulations we’re always building to accompany it (like the KICKR CLIMB), we’re always upgrading your bike trainer to the latest in bike tech.